"Who knows what evil lurks in the hearts of men? The Shadow knows..." Those are the words that popped into my head when I saw this next car...and it is a scary looking thing...but the more I look at it...the more I like it. I must be running a fever or maybe I need more whiskey. Find this 1984 Fierorghini Countiac offered for $7,000 in Hayward, CA via craigslist. Tip from Rock On! This car was built on a 1984 Pontiac Fiero non stretched frame. Engine is a Cadillac 4.9 v8. Transmission is manual. Wheels are not included and you will need too bring your own. I've had this car on Craigslist before but never really had time to show it..my apologies..but now I'm ready. You will not find a more complete kit for the price listed. Comes with interior seats, carpet, upholstered side panels, upholstered center counsel, upholstered dash. Black and camel color scheme. Car has badges, rear lights, rear light surrounds, custom radiators and fans, Koni fully adjustable front shocks, front light buckets and brackets, screens, door seals and more. If you buy another kit good luck finding these things as no one sells it any more. I am not parting the car out so please stop calling and asking if i will sell just the seats or the wing. 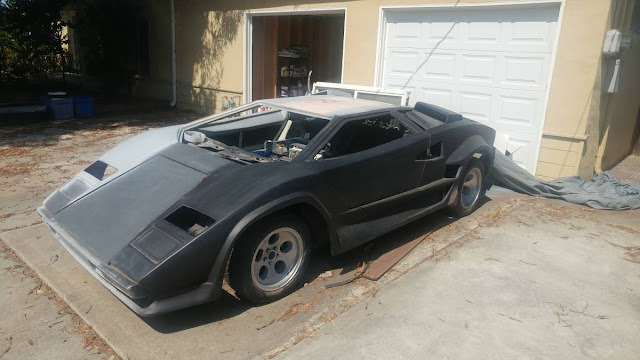 Car is currently registered as a Pontiac fiero but upon completion you will have to get it registered as a special vehicle construct Lamborghini countach. They will give you a new vin number. I'm pretty good with lighter fluid. Bet I could change this back into dust. One of the few cars the original Fiero beats in a beauty contest. The "stance" fellas are having an anxiety attack right about now. 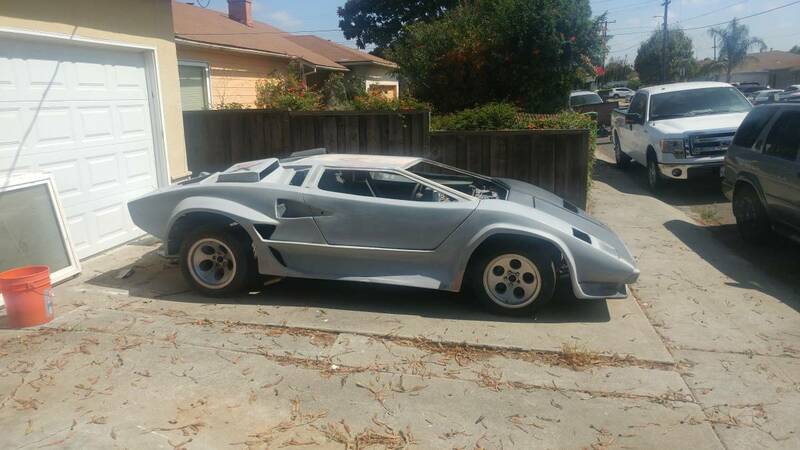 "Car is currently registered as a Pontiac fiero but upon completion you will have to get it registered as a special vehicle construct Lamborghini countach." That assumes it passes inspection. If you going to all that trouble, I think this is one you paint dark red and register as a "Lamburgundy". If this isn't a Nice Price or Crackpipe feature already it should be.